If you’re reading this then it’s pretty clear that you love crafts. You don’t just love crafting, but you eat, sleep, and dream crafts. You are the definition of a crafter: you spend your free time looking for new fun projects, you love customizing things, and your friends are always asking you for creative ideas. 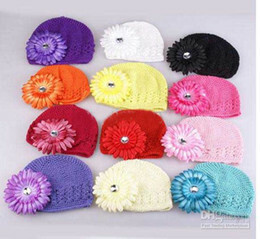 With this hobby, I bet that you have been prowling the Internet for new projects. You probably already have a few sites that you respect and are constantly visiting. 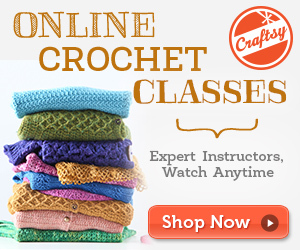 But have you ever thought about starting your own crafting blog? It’s a fun way to share your passion and it’s pretty easy! Don’t worry, we’re here to walk you through all the steps! All you have to worry about is getting together all your crafting ideas! Disclaimer: Please note that some of the links in this post are affiliate links, and I will earn a commission if you purchase through those links. I have used all of the products or services listed below, and recommend them based on my great experience with them and helpful, not because of the commissions that I may earn from your use of their services. 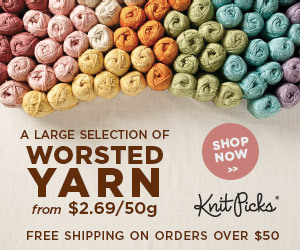 The creative part to have a craft blog is having a website. Now it’s time to get your creative juices flowing, it’s time to pick a name for your website. Mine is www.jennyandteddy.com .Knowing you, you already have a name ready to go, though! Your domain can be whatever you want, just be original and have fun with it! And head over to Bluehost to check that your domain name are available. PS. I recommend bluehost because so far they has been fantastic for me and great support. Okay, so you have a domain name all ready to go, now it’s time to head to a domain hosting company. If you don’t know what that means, never fear! Hosting a domain name is like renting an apartment, you personalize it and make it your own, but you pay for the space. There are tons of hosting sites out there, look around, go find a good price. Bluehost they have great rates and you will get your domain name for free if you decide to hosting with them. Great deal right? Below is a screenshot of what I use for the package and you can see there is a check box “Domain Whois Privacy“. I highly recommend you go with that option, because it will protect all your personal information, like address not show to the public. Now you have a hosting and a domain name ready, next step you need a blogging platform. 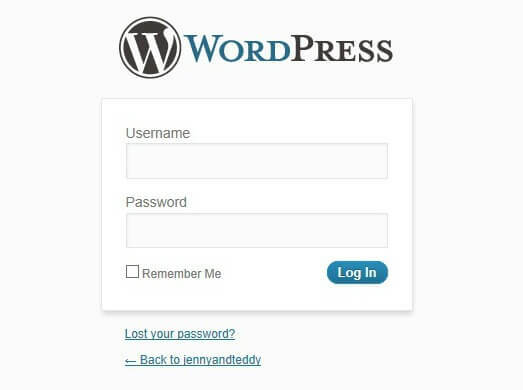 WordPress will make your blogging life so much easier that I use for Jennyandteddy.com. They are very easy to do and allow you to focus your energy on adding fun new content instead of stressing about how to work it. It only takes a few minutes to install and you’ll be posting blogs in no time flat! Follow me! Login to Bluehost and go down to the website Builders section of the first page. Click on WordPress logo. 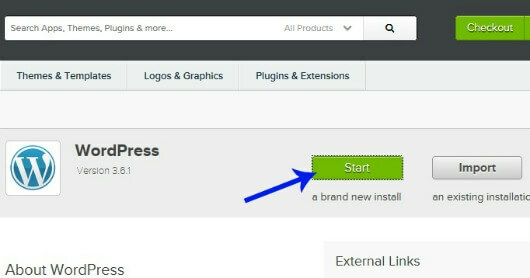 On the next page click on the button “Start a brand new install”. After you click start button. You are almost done here and should have something like the image below. Don’t forget to read the terms and conditions. Then click the Install Now button. If an overwrite warning appears just click the button “Overwrite Existing Files“. Now you have Username and Password and the login URL link. 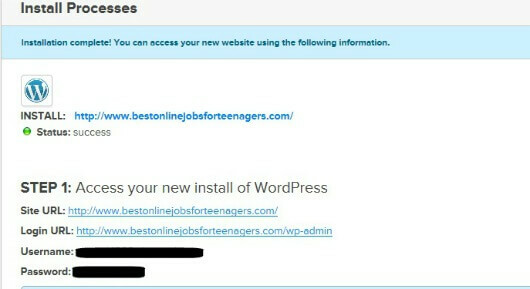 Click on the link or type in the your web browser and the login page of WordPress will show. 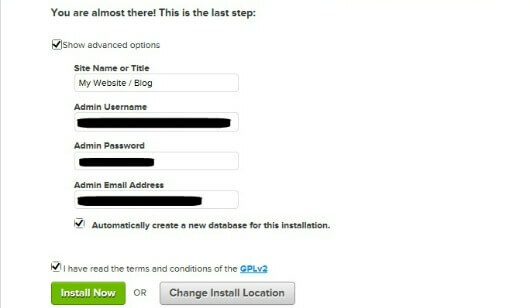 Type your Username and Password copy from above and you’re all done with the installation! Okay, so we’ve got a name, space, and some blogs ready to go, but we’re still missing one huge thing. We’re missing the part where we get to decorate, that’s the best part! We already know that you’re creative, so it’s time to make your blog reflect your personality. So let’s get to the fun part! 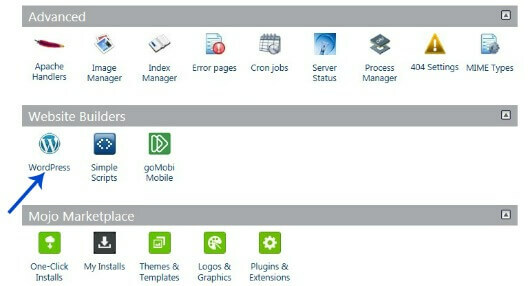 WordPress has a great selection of Free theme. Check them out here! 1. Genesis Framework– by StudioPress, We use Genesis framework and the Child theme Pretty young Thing on our craft blog Jennyandteddy. Genesis provides a life time supported, SEO friendly and the child theme are very easy to customize to suite your taste without getting your head spinning with lot of code.We loved it and highly recommend it. 2. Elegant Themes – Elegant themes, from my experience, their support has been great, and their theme has a clean and good lookingdesigned. You can purchase themes individually, or pay $39/year for access to every theme in their collection. OR, you could just open a Blogger account and have a free blogspot blog. yes, that right Wendy, I use to have a free BlogSpot blog and will add that to the post. I don’t know who you are but definitely you’re going to a famous blogger if you aren’t aready 😉 Cheers! Hi I was looking at starting my own craft blog and wondered if anyone has any advice or tips that would help me your post helped me a lot. I read everything you posted about starting a blog. Totally confused. I now am convinced this is too much for me to bother with so I’ve decided not to try. I amvery didappointed but I would only find this more fristrating than I need in my life. I am a teacher in the secondary school system and use computers all the time but, this isn’t worth the effort so I must find a different projct for the students and myself. What is your experience with bluehost? We used it for several years and had nothing but problems with it? I had quiet good experience with them.